The average cost of cedar shingles is $6,800-9,500 installed on a 1,700 sq.ft. ranch style home. Cedar roofs has been around for centuries. Recognized for exceptional charm, longevity and durability, they continue to be installed throughout the US today. Cedar roofing shingles is a premium material, and is fairly expensive, especially if you want to add special treatments that prolong the life of the roof. The price range is wide and greatly depends on the quality of the wood you select. Also, note that a cedar shake roof is significantly more expensive than shingles. Shingles: For an average one story ranch-style home (roof size 1,700 sq.ft), you can expect to pay $4-7.5 per sq.ft. or $8,500-$12,750. Shingles themselves are about $2 – 3.5 per square foot. Cedar shakes: For an average one story ranch-style home (roof size 1,700 sq.ft), you will spend about $6-9.5 per sq.ft or $10,200-$16,150. Shakes cost $3 – 5.5 per square foot. Overall, higher prices are also dictated by the fact that installation is more complex than asphalt roofs and is therefore more expensive. 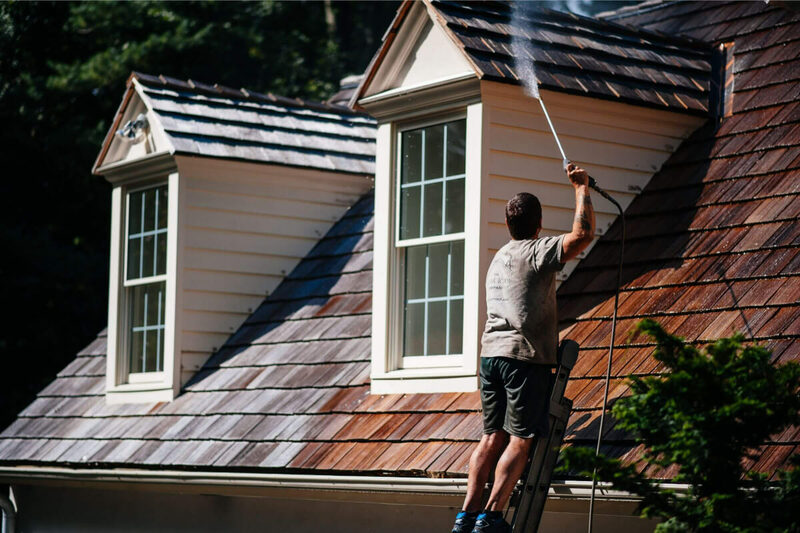 You should also factor in the cost to remove old roofing, which can be anywhere from $2 -3.5 per sq.ft , depending on the material and complexity of the job. 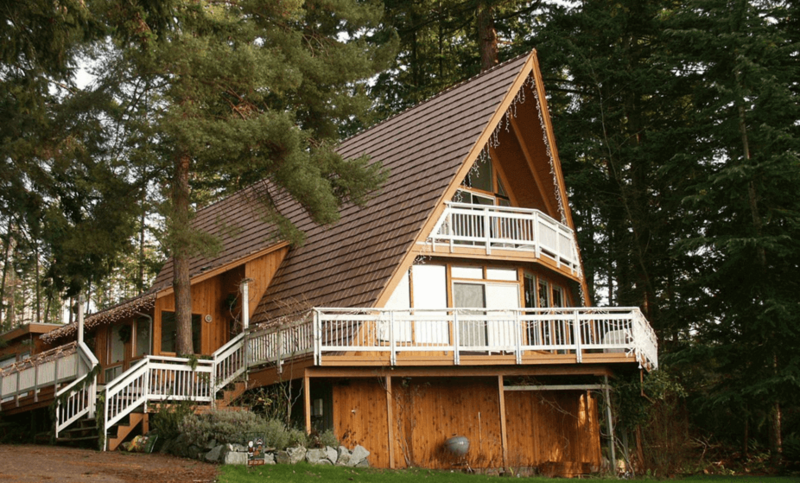 How long do cedar shingle roofs last? An average asphalt shingles roof lasts 10-15 years. On the other hand, if you have a properly installed cedar wood roof, it will last twice as long; at least 20-35 years. In general, shakes last longer than shingles, because they are thicker. For an additional cost, you can get long term protection against fungal decay by ordering pressure impregnated and preservative treated wood shakes or shingles. These products are sold under the label Certi-Last®. Note, that untreated shingles will last less than treated ones. However, these extra measures still do not protect against other environmental factors we have discussed. You should contact the manufacturer to get information on the treatment warranty. Here are the main advantages of installing cedar roofing shingles or shakes. One of the main reasons so many people fall in love with cedar roofing is its unique and charming look. No two roofs look the same, so this is an ideal material if you want to boost your home’s curb appeal. You will find that with time, cedar will gradually turn a beautiful silver – grey color from the original reddish and orange hues. Moreover, this roof offers versatile design possibilities. 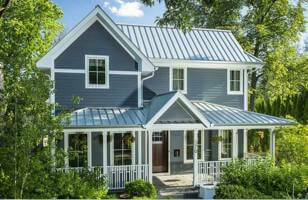 It can enhance the architectural beauty of Victorian, Cape Cod, Tudor, Gothic and Cabin style homes. If you ever decide to sell your home, a wood shake or shingle roof will increase your home’s appeal and value to prospective buyers. 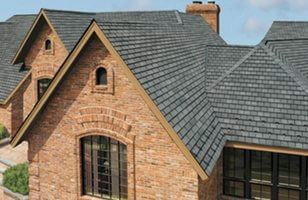 Cedar roofing shingles are highly energy efficient and will reduce both your energy costs, as well as carbon footprint. Testing demonstrated that it can keep your attic 28°F cooler during the hot summer months. 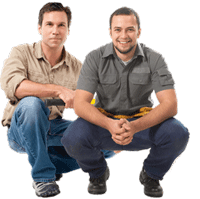 This can help save you 20% or more off your air conditioning costs. The cell structure of wood makes it a natural insulator, which means your home will be warmer during the cold winter months. 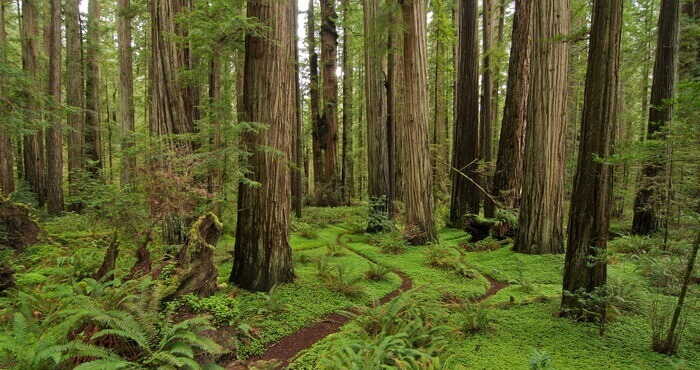 Cedar is an all around green material that helps improve our environment. From the beginning, it is harvested from sustainably grown forests in the US and Canada, which helps reduce carbon emissions into our air. Also, there are mills that use salvaged logs for manufacturing shingles and shakes. By utilizing trees that would otherwise be left idle on the forest grounds, these mills and their cedar products play an active role in maintaining the health and sustainability of our forests. 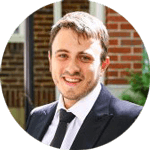 The manufacturing process is more labor-intensive rather than energy-intensive. This means that less energy from fossil fuels or natural gas is expanded to manufacture a wood roofing, as compared to an asphalt shingles, a metal, or a concrete roof. At the end of its service life, cedar can be 100% recycled into mulch and chips used in gardening. Alternatively, it can be returned to earth to provide nutrients for the next generation of forests. Contrast this, with petroleum-based asphalt shingles, which cannot be recycled, and end up in our overflowing landfills. The following are major disadvantages of installing cedar wood shingles. 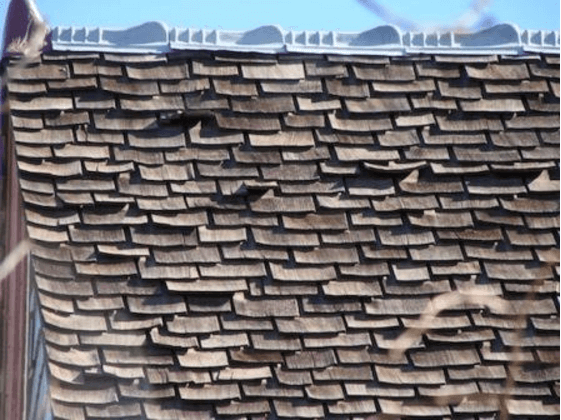 Due to the nature of wood and how fast it disintegrates without proper treatment and maintenance, most wood shingles and shake installations last 20-30 years. If you want the curb appeal of real wood with a longer service life, a metal roof that replicates the look of cedar is a good option. By comparison, metal shingles will cost 20-30% less, but will last at least twice as long. 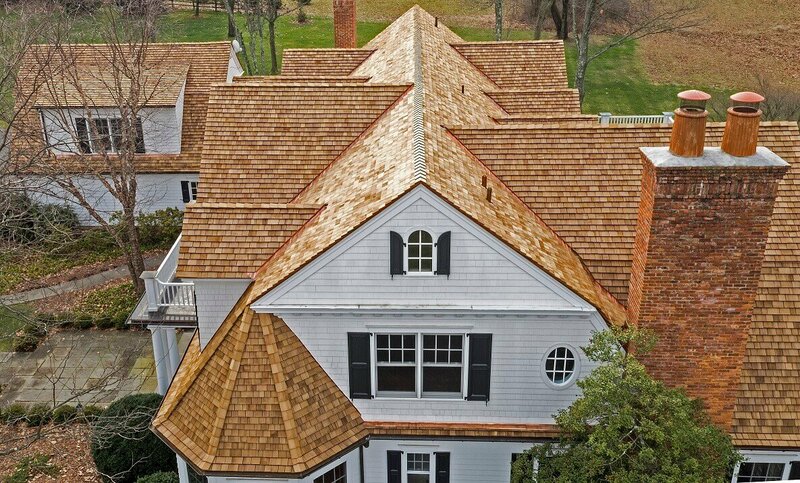 Unlike standard asphalt roofing, which can be installed even by a novice contractor or a DIY savvy homeowner, cedar shingle installation requires specialized knowledge and experience. One serious problem that can occur as a result of a poorly executed job is excessive cupping and curling. This can happen if the contractor places nails too high, or too far from the edge of the roof. Doing this can potentially compromise the integrity of the entire roof system, and will require extensive repairs, or a complete re-roof. To avoid this costly issue, make sure you hire a professional with proven experience installing this material. While cedar can hold up well during occasional heavy rainstorms, problems with mold and mildew will start to occur, if you live in an area with frequent rain. To protect your roof in these conditions, it is best to have wide overhangs. A regular shake shingle roof is more susceptible to fire that asphalt or other material types. Some areas have building codes that prohibit installation of wood roofing materials in order to prevent potential fires. To mitigate this issue, it is possible to install premium cedar shakes and shingles that have been pressure-impregnated with fire-retardant polymers to provide permanent fire protection. These products carry the label Certi-Guard®. Products can meet either A, B or C fire testing standards. Note, that treated shakes and shingles will be slightly more brown in color. 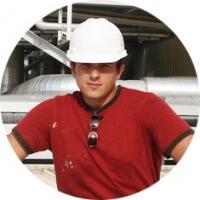 It is also important to contact your local building and fire officials to make sure that the product you want meets local codes and standards. For example, Watkins Sawmills offers fire retardant cedar shingle and shake products, with three different levels of protection. Cedar shakes and shingles will perform best if there is no heavy shade over them. Shade can lead to moisture problems followed by mold and mildew, as well as rotting. 1. The roof is located in an environment that has constant excessive humidity. 2. Presence of ice dams. 3. Improperly installed nails and other fasteners may damage the wood, making these areas susceptible to water penetration. To resolve this, you will first need to deal with the moisture issue. Then, you will need to apply a tannin blocker or a new top coat finish to the roof. Products, such as DEFY Wood Brightener, that contain oxalic acid, are known as being most effective at removing these stains. To ensure cedar’s longevity and durability, it needs to breathe. This means it should be regularly cleaned from falling branches, leaves, other debris and moss build-up. Both the surface and the spaces between shingles need to be clean. It is also important to watch for and prevent mold and mildew build-up. Professional roof maintenance can cost $150-350 per visit, depending on where you live and the size of your roof. However, as you can see in the image below, having your wood shingles or shakes cleaned, can make a huge difference in the way they look. Once all the dirt and debris is gone, they look as good as new! If some of the shingles or shakes start to rot, crack and develop other problems, you may run into very expensive repairs. 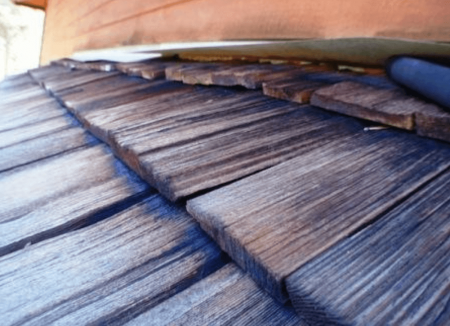 The problem is that with cedar, unlike with asphalt shingles, you typically cannot replace just the broken or rotten pieces, because they are nailed one above the other (in a stacking fashion). This means that if there is an issue, you will need to replace many pieces or even the entire roof. Both of these scenarios will be very expensive. Cedar roofing can come in two basic styles: shingles or shakes. A shingle is cut by a machine. It comes out smooth, tapered on both sides, and uniform in size. Cedar shake, on the other hand, is split by hand from a wood block. This gives it a more distinct, rustic appearance, and it is typically thicker than a shingle. As a result, cedar shake roof cost is typically 25-30% more expensive.